Earlier this year, when Y.V. 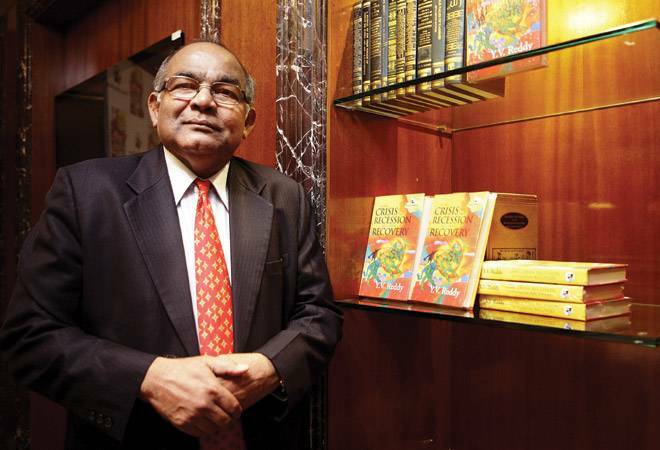 Reddy, former bureaucrat and governor of RBI, announced that he was penning down a memoir, there was widespread anticipation. Understandable, given that during his tenure in the ministry of finance, RBI and the Finance Commission, he oversaw many rules being rewritten. Advice & Dissent: My Life in Public Service, while earnest, has been hailed as a rather reticent account of Reddy's prolific career. At the book launch, on a rainy July evening in Hyderabad, when D. Subbarao, the former governor of RBI who took over from Reddy, sought Reddy's reaction on this, he said, "I don't think I was restrained in taking decisions, but putting it in public domain, I agree, I have been restrained." People have said that you have missed a chance to reveal more stories or shall we say pack in more punches? Everyone has an individual style of expression. Some people are more vocal, some prefer to be more polite. It is just that really. How challenging was agreement and decision-making being in the presence of so many economists - the likes of Manmohan Singh, C. Rangarajan? I am glad you raised this. The dissent was in discussions. The dissent was permitted and listened to. Take the economic leadership during my time - Manmohan Singh, Rangarajan and P. Chidambaram. I have worked under each one of them. In the discussion, I was allowed space to differ, and this was respected. That I could succeed in unconventional policies and have my way was because it was allowed. In spite of their stature, they were prepared to discuss issues. As for agreement among economists, no two economists in academics agree, but when you are in policymaking, policy economists have to eventually arrive at an agreement. Also, please do remember that the most important decisions were taken when Jaswant Singh was the finance minister. People tend to think that all good economic ideas come from economists. That is not always true. When you are in a policy space, you are rounded off; you cannot take an 'economist view' or a 'politician view', you only need to take a view and get things done. But where do you draw the line? You talk of times when you wanted to quit.. Difference of opinion is different from disharmony. In fact, decisions where all agree make it suboptimal because you are only being nice to each other. At the only point where I disagreed, I did not say, I am a hero. I simply said I disagree; my heart is not in it and I want to leave. The key point here is that dissent was permitted, the right to dissent was exercised and it resulted, on all accounts, into optimal decision-making. What about the dissent you have faced from others, your subordinates or other seniors? There have been several incidents like the one concerning the rupee symbol. I was not in favour of a symbol for the rupee, like $ for the dollar or the sign for the pound. I felt we should wait for some time and not appear to be showing off. But Rakesh Mohan wanted it, and I said, 'go ahead'. You are known to have the ability to charm and win over your opponent, but you seem to have had a challenging time working with Chidambaram..
No, our relationship is very cordial. In fact, only the day before yesterday, I was there with him, handed over a copy of the book and talked for about 35 minutes over a cup of south Indian filter coffee. In fact, 90 per cent of the time, we were on the same page. What is the key message you would want to give to young officers who are getting into senior roles in the government and within the RBI? My key message is that it is never too late to learn. You keep learning all the time. It holds true not just for bureaucrats, but also for doctors, engineers and everyone else.